The 1929 Collection from Blush was inspired by the romanticism and fantasy of the roaring 20's. 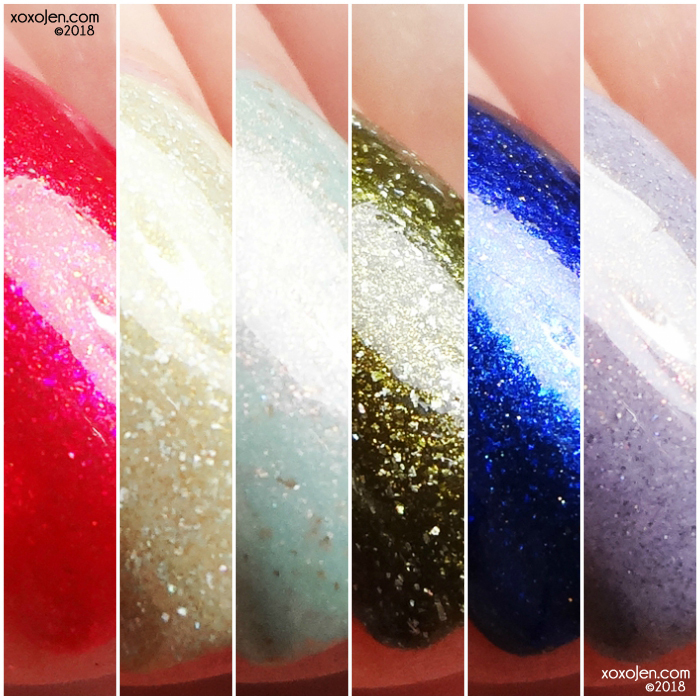 The six polishes are elegant and chic for the period, perfect for a visit to the local speakeasy! 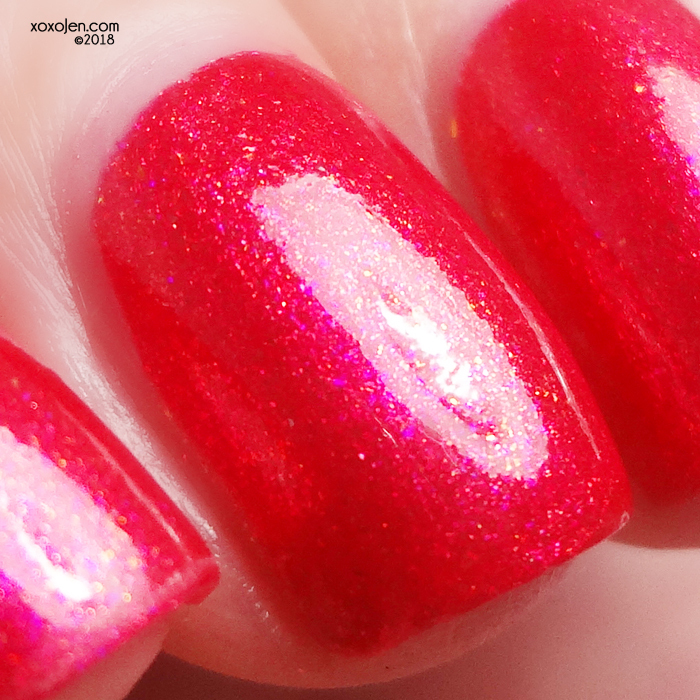 A bright, flashy red base with pink tones and a matching red shimmer. A soft camel colored base with a subtle gold to bronze shifting shimmer and holo flakes. 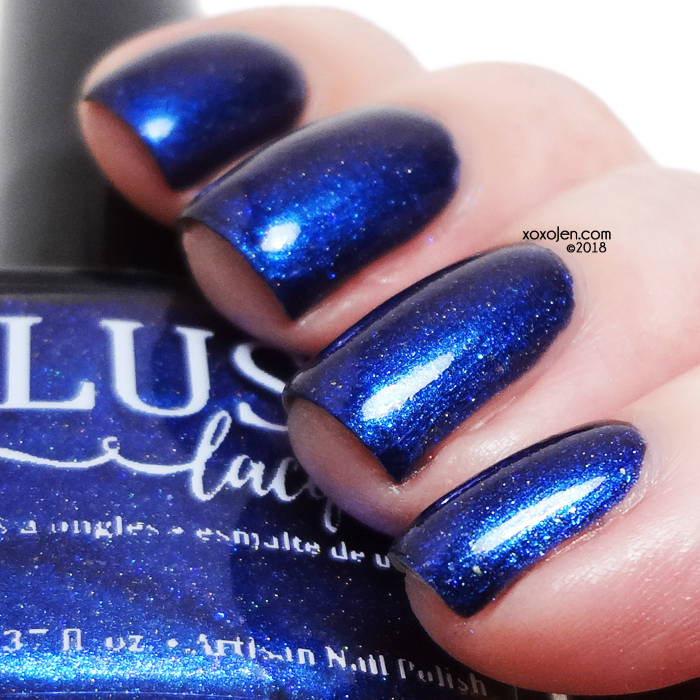 A deep sapphire base with a subtle blue-purple (teal in extreme angles) shifting multichrome, a light touch of scattered holo and gold micro flakes. A mint base with a soft copper to bronze to gold shifting shimmer, scattered holo and bronze micro flakes. A deep olive base with brown tones, a golden green shimmer and holo flakes. A muted lavender base with a subtle pink to bronze to gold shifting multichrome (green can be seen at extreme angles) and scattered holo. I wore two coats with topcoat of each polish, and the formula was fantastic. It practically applies itself with the perfect brush (have I mentioned how much I love that brush?). Get all six shades for yourself Friday, February 23rd at 6pm central at https://blushlacquers.com/ and on Feb 25 at https://color4nails.com/.